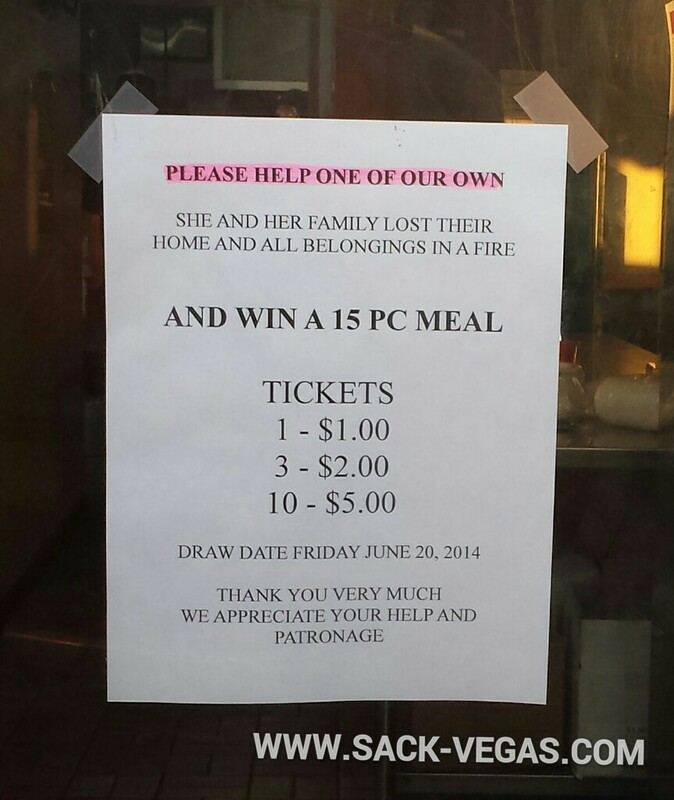 Fundraiser Tickets For KFC #Sackville Employee (Fire Victim) For Sale: | Sack-Vegas!!!! This is posted up on the drive through window at KFC Sackville. Ugh – Looks like a worker lost everything in a fire. I’m not sure if anything else is set up to help her and her family out but this is certainly a good start. Posted by Sacky on June 16, 2014 in Uncategorized.